← New Year Blitz Ball 2014! I had never been to this event before, but lept at the chance to perform there after seeing the main website and video! I was certainly not disappointed. All around the church, nearby streets and in the fabulously Gothic churchyard, there was a feast for the eyes. From bands to costumes, craft stalls to body art, I was in heaven!!! 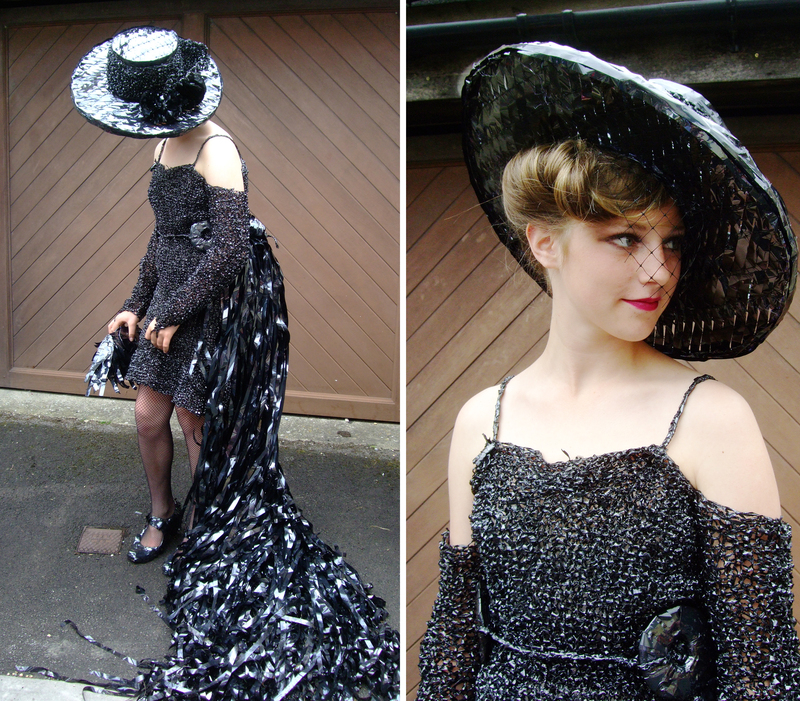 A dress and hat made from knitted and loose VHS tape! Next I got changed into my half and half costume! I was debuting the outfit at the show and it was a raging success! People kept telling me I needed to get on the stage for the competition, but I had to tell them I was a singer, not part of the catwalk! Just the confidence boost I needed! I hung around in the performers area to get some snaps of some of the amazing body art before we had to go. It really was spellbinding as you can see! 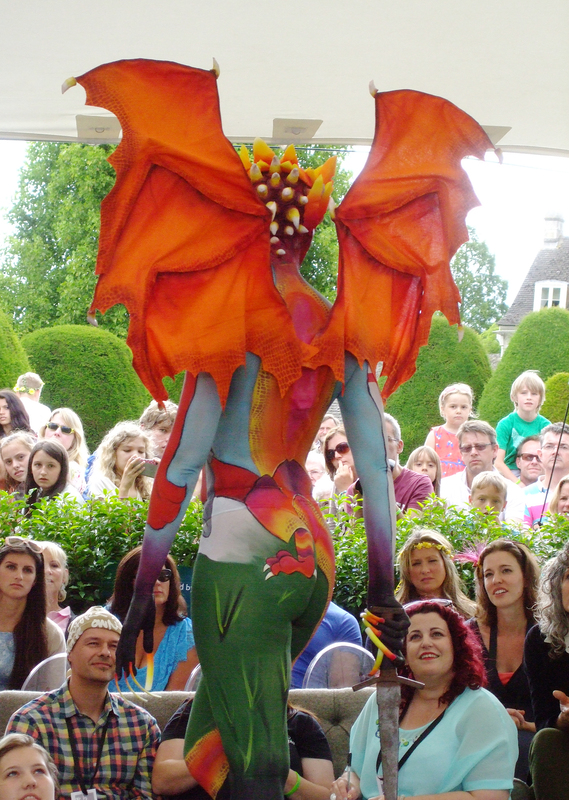 The amazing body painting at the ACP Festival! Oh, and me in my new costume! I will certainly be going back next year! Posted in Events and Performances, Uncategorized and tagged 1940's singer, ACP, acp festival, Art Couture Painswick Festival, body art, body painting, costumes, kitten von mew, kitty von mew. Bookmark the permalink.